Here on the south-eastern outskirts of Ipswich you enter deep countryside very quickly. 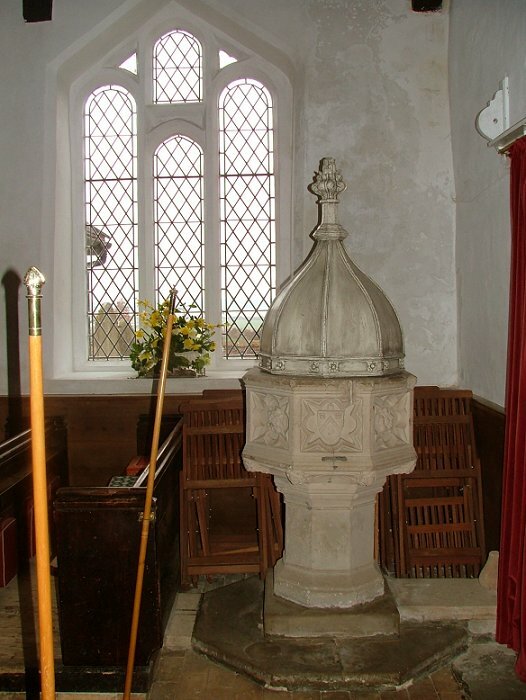 Levington village is a twin to neighbouring Nacton, but the churches of the two are quite different. 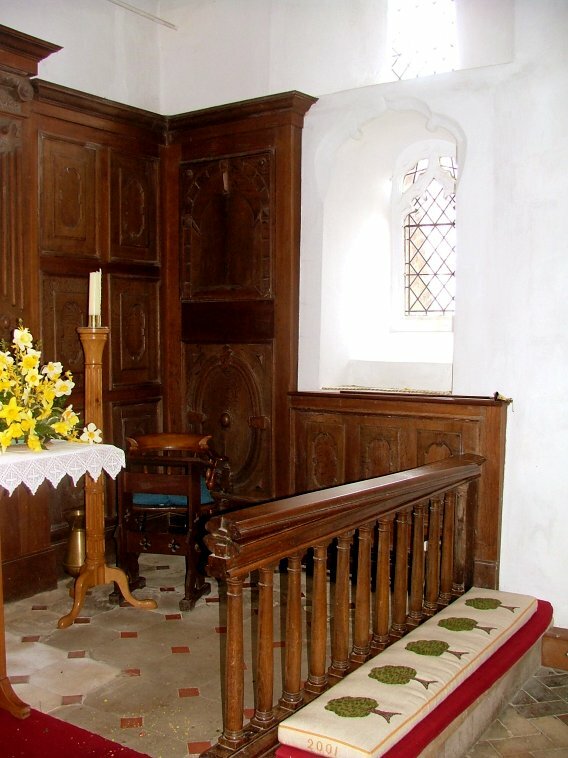 St Martin, a mile away, is large and urban-feeling, restored with vast amounts of landed money in the 19th century;, but St Peter has an authentic rural feel to it, a lovely building, beautiful outside and within. 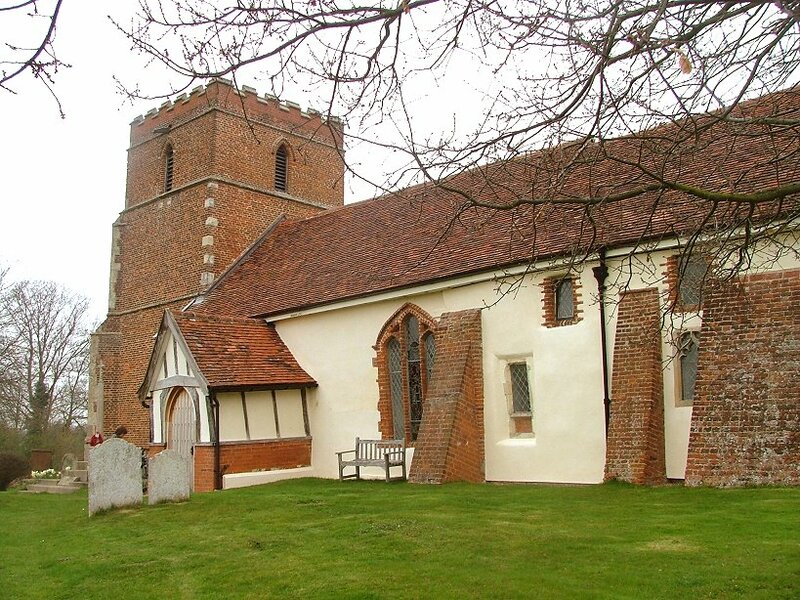 It is set on a hill above the Orwell, beside one of Suffolk's best pubs. 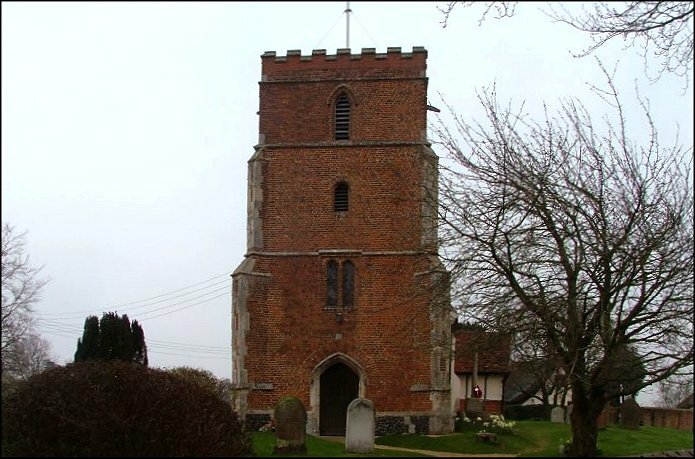 The red brick tower is an early one, squatter than most thanks to a 17th century rebuilding of the top. 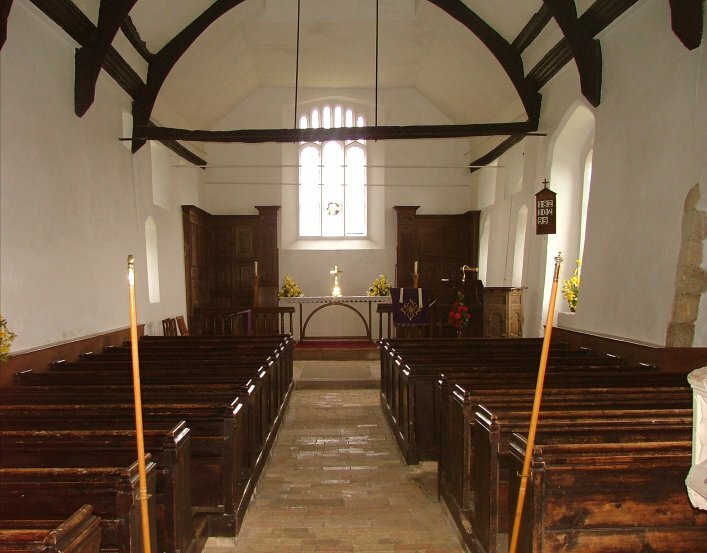 You enter the church beneath it, the medieval wooden south porch now being converted to a vestry. 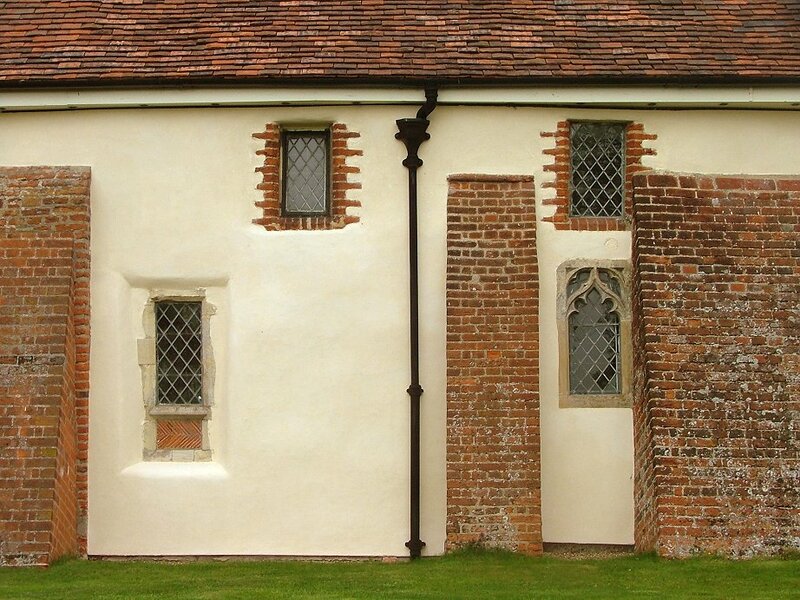 The walls are pleasingly plastered white, with red brick outlines to a range of windows of all ages. I've always found this a welcoming church. On the day of the Historic Churches bike ride, you'll find it hard to escape without them sitting you down and feeding you. 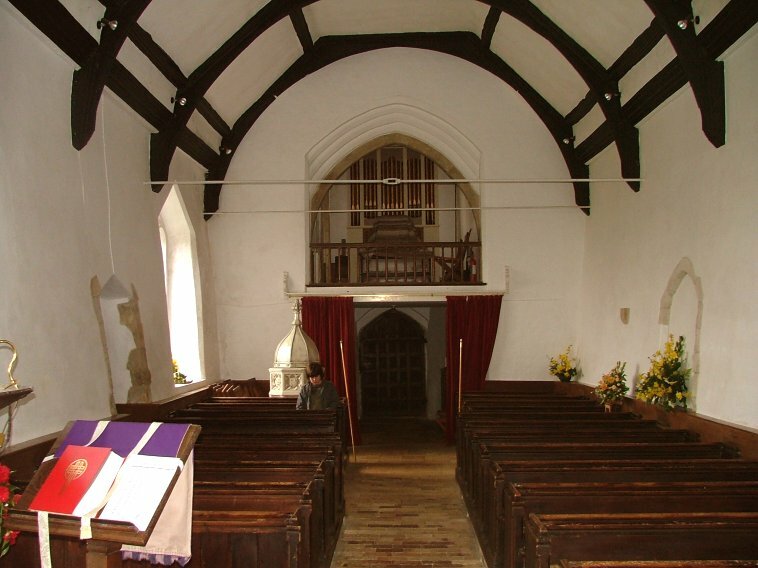 Inside, St Peter is small and simple, white-walled under a barrel-vaulted roof. At some point, metal ties have been put in to stop the walls spreading. 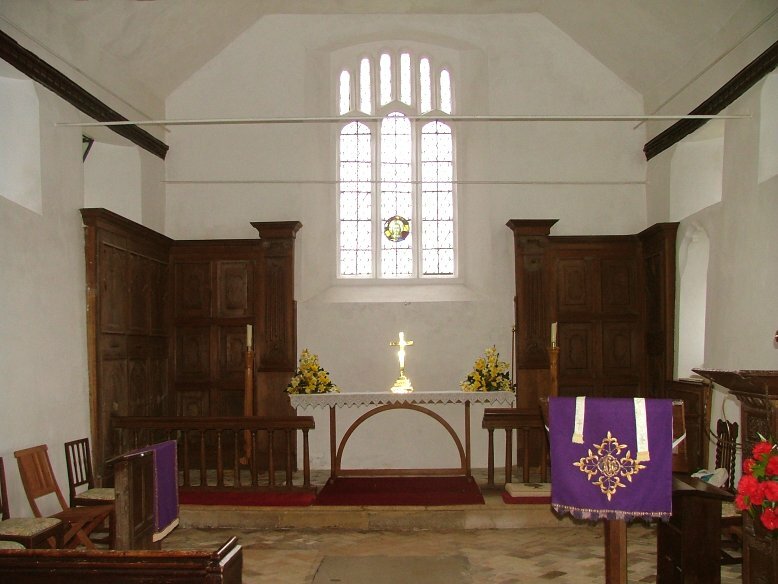 Brick floors enhance the simplicity of the interior, and the rustic benches face a sanctuary that is curiously flanked by 17th century panelling, brought here from Brightwell Hall. 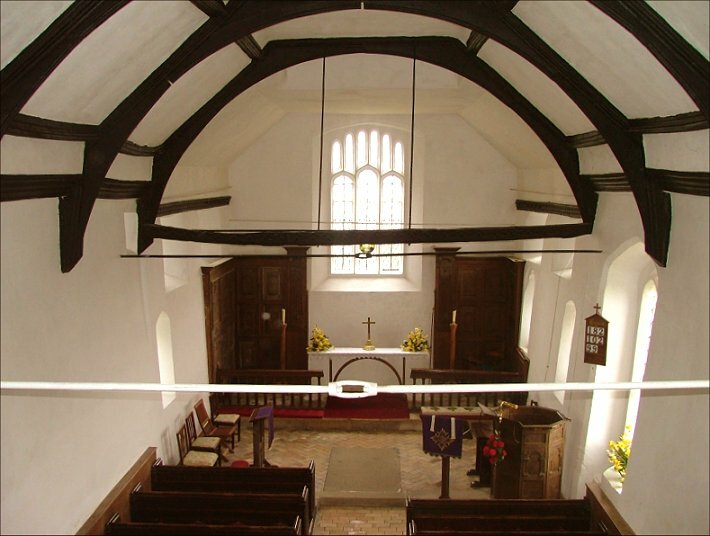 The rood beam survives above; Mortlock says that it was revealed when a low ceiling was removed in 1920. The interior is enhanced by good, modern glass. 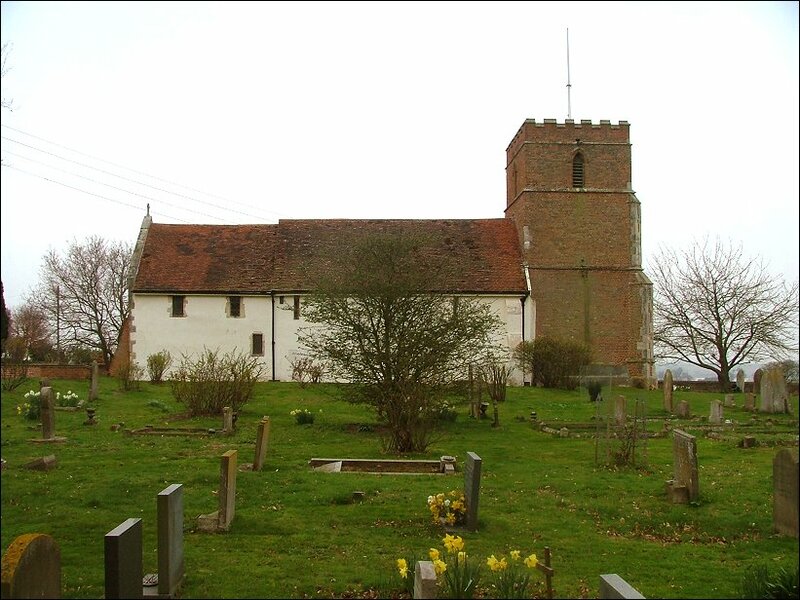 In one of the pretty lancets in the south side of the sanctuary is a 1950s St Francis above a curiously un-East Anglian looking church. 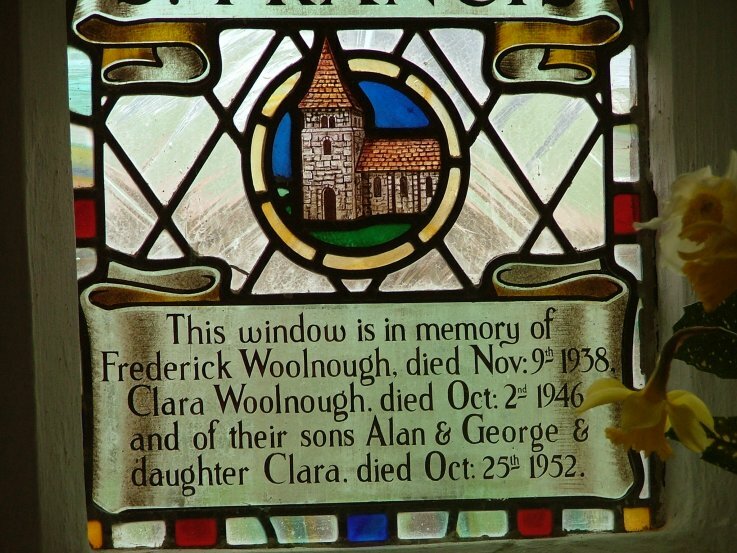 I would have liked to know more about it, because it records the death of a family - the father and mother first, and then the three children all on the same day - was it a terrible accident of some kind? A sobering thought. 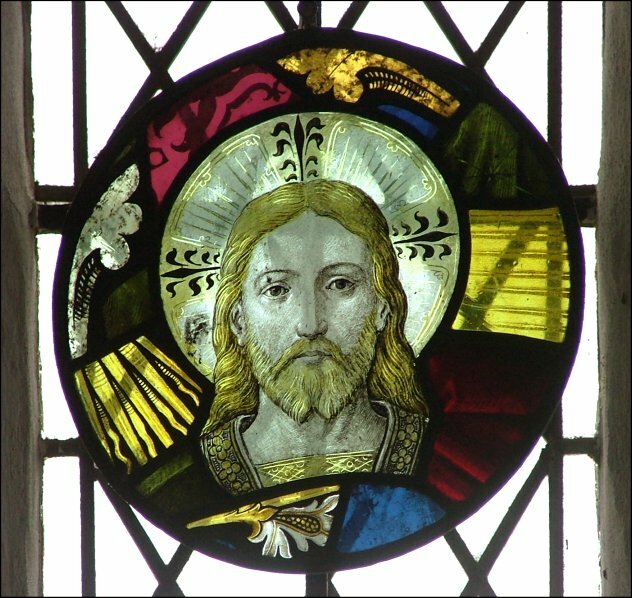 There is an earlier roundel of Christ in Majesty in the east window, apparently incorporating some medieval glass. 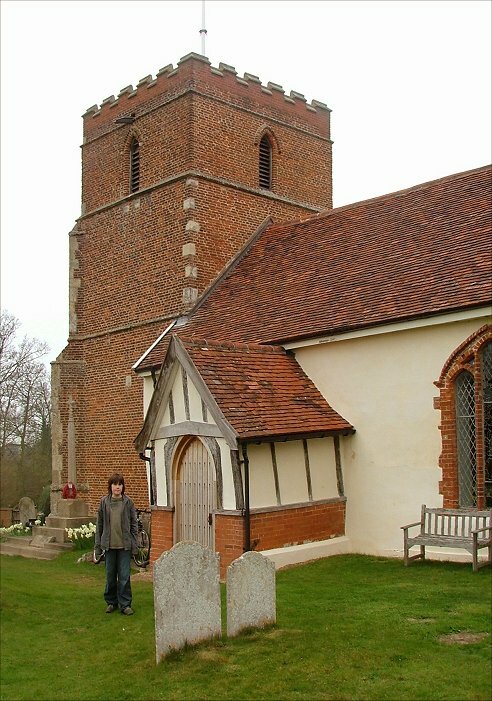 Until the 16th century, there was another medieval church a few hundred yards to the east of this one, at Stratton Hall. 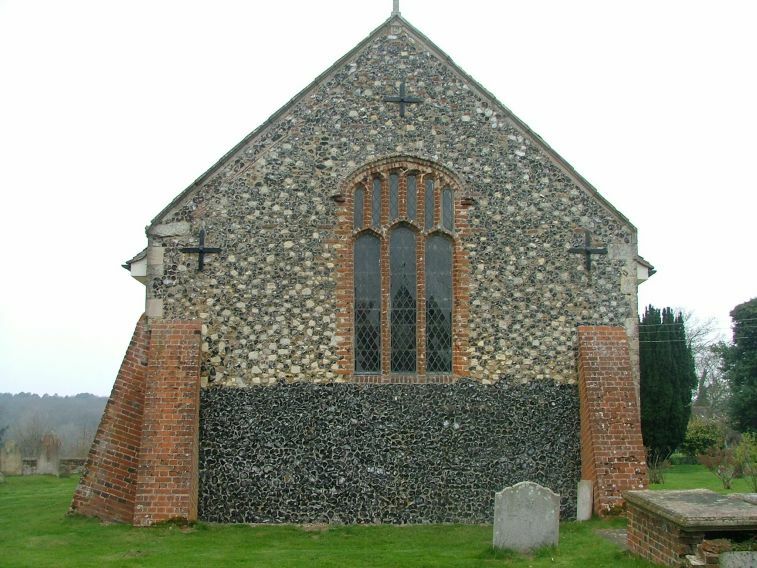 Disused at the Reformation, remains of it survived only to be ploughed under in the early 19th century. The Ship Inn next door has, or had, a sign outside saying No Dogs, No Children, No Australians. This pub is a particularly convivial place, though rather more popular than it used to be now that it has such a reputation as a foodie pub, I fear. Still, I think they were joking about the Australians.